Our amazing line of custom Mini or Full size Baseball Bats make a truly unique and special gift or giveaway. Available in many different colors and cool designs, you can fully customize our bats with your imprinted logo to best suit your brand! Guaranteed to make a line drive down the middle of your next advertising campaign or promotional event, these bats are perfect for your next trade show, job fair, BBQ, company retreat or reunion. 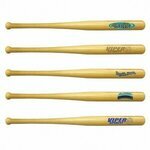 Don't forget the Louisville sluggers for a heavy hitting impact. 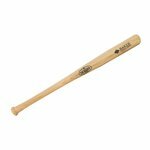 A great, unique and long-lasting souvenir, these mini wooden bats are an ideal way to promote your brand or company name. 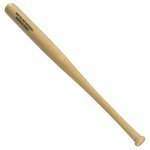 Swing into action and order your Custom Mini Wooden Baseball Bat today! All of our Mini & Full Size Baseball Bats products can be personalized with your company logo or a design of your choice.